Starting at university can be intimidating. There’s not just a lot for you to learn and a lot for to learn about learning, you’re also starting over socially. You’ve gone from the solid group of friends you’ve made at school – whether that’s lot of people of a small, tight knit few – to knowing no-one, being a small fish in a very big pool. As well as getting to grips with your new academic responsibilities, you need to find a social network at your new university. 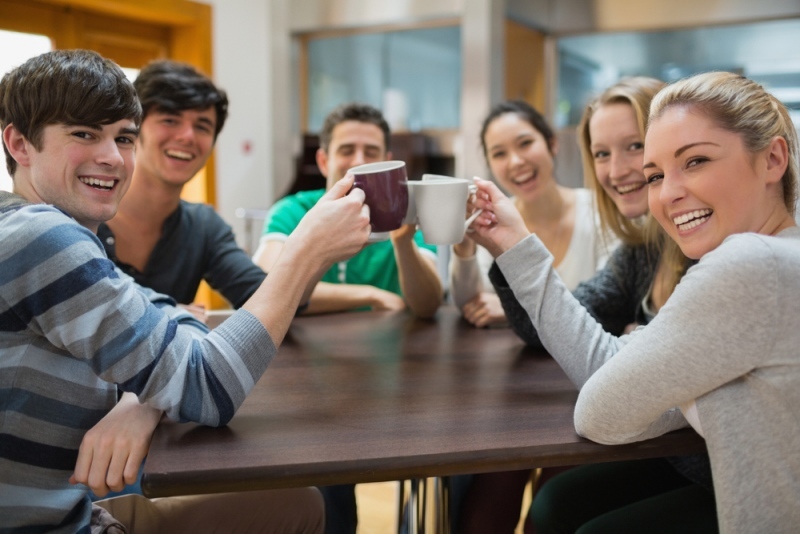 It’s not just fun to have friends to spend time with: the university experience brings with it stresses on your mental state that you need a trusted group to adapt and react to healthily. Isolation is rarely the right choice when you are feeling overwhelmed, and having friends to fall back is vital for anyone. Today we’re taking a look at just how to build this network of friends that, if you’re lucky, will still be some of the most important people in your life long after you’ve all graduated. It’s all too easy to believe that everyone has it sorted, knows what they’re doing and doesn’t suffer from any doubts or insecurities. It’s one of the easiest traps to fall into: to believe that because you can’t see it, it’s not happening. Never forget that everyone is in the same boat as you – this is an unfamiliar experience for everyone, whether they’re moving into halls of residence in Cambridge or any of the student accommodation Huddersfield. Even if family members have gone to university previously, no amount of preparation can prepare you for the experience, and a long tradition of success in the family might load people down with expectations rather than make them feel confidence. There are lots of new experiences on offer at university, from the scholastic to the hedonistic, and it takes a strong knowledge of your own character to know whether something is for you. It’s easy to get sucked into habits and groups that aren’t really making you feel any better, or doing you any good, but at the outset it’s hard to tell them these negative experiences from simply trying something new. For one person, joining the university football team might be best thing that’s ever happened to them! For others it might play on their insecurities, encourage problem drinking and come with destructive hazing rituals that universities are starting to ban. Having the courage to know when something isn’t for you and moving on elsewhere is vital, otherwise you could end up saddled with ‘friendships’ that actually sap you rather than restoring your confidence and calm!